Rent Guarantees: a way to beat property investment risks? Although many people consider them to be the safest type of investments, property investments have their own risks; those risks have been amplified in the aftermath of the financial crisis that occurred and the preceding real estate bubble back in 2008. One of the prominent risks of property investments is not finding a tenant and, therefore, not generating rental income. To help overcome this fear, realty companies came up with rent guarantees as a solution. The usage and popularity of this scheme has been soaring lately as a result of that. 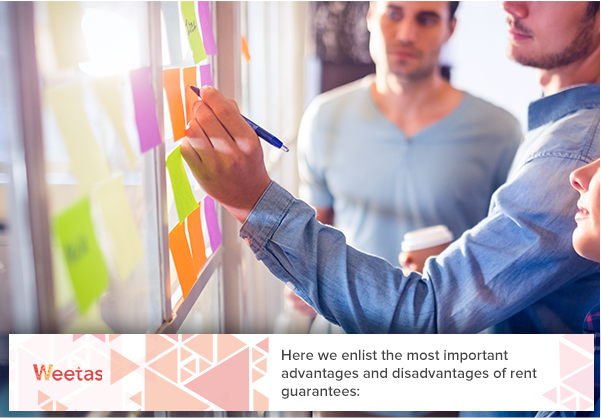 As a matter of fact, we, at Weetas, had lately designed a rent guarantee plan in which we considered the needs and interests of our prospective buyers to come up with an offer that maximizes the benefits you will get and diminish the possible disadvantages. 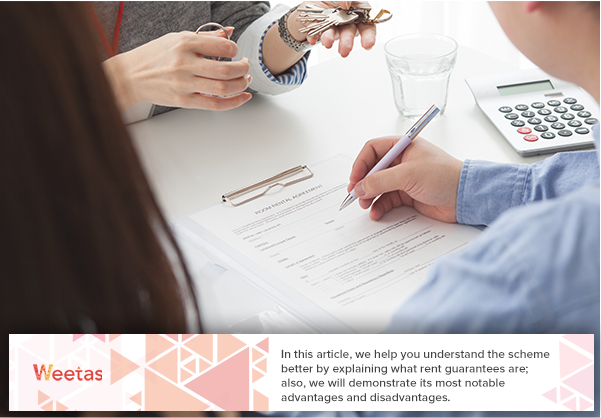 In this article, we help you understand the scheme better by explaining what rent guarantees are; also, we will demonstrate its most notable advantages and disadvantages. 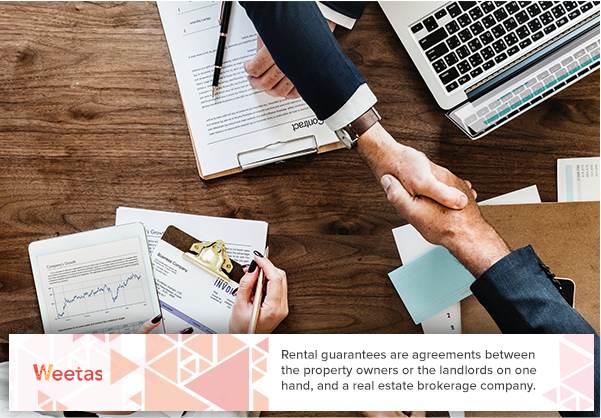 Rental guarantees are agreements between the property owners or the landlords on one hand, and a real estate brokerage company. 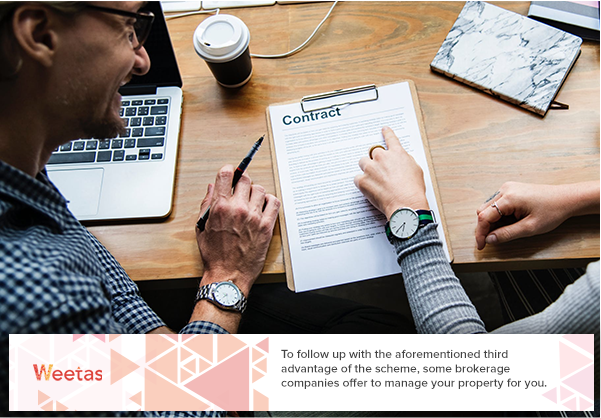 As per such agreement, the broker guarantees the landlord a monthly rental income for the property he has been assigned for a specified period of time even in the case of not finding proper tenants for the specified property; in exchange, the landlord pays certain annual fees to the broker. 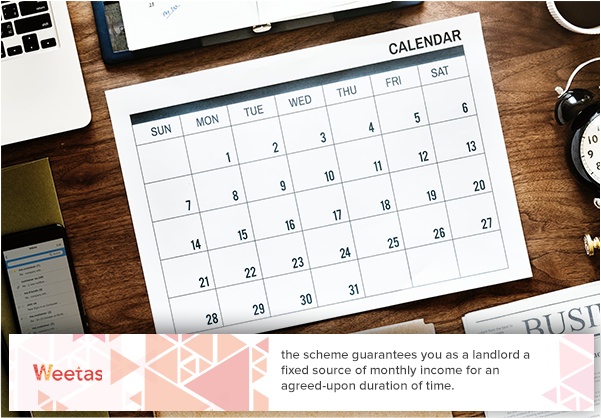 By definition, the scheme guarantees you as a landlord a fixed source of monthly income for an agreed-upon duration of time. This helps the investors overcome the risk of failing to find a tenant for the property and avoid the possible loss of rent. 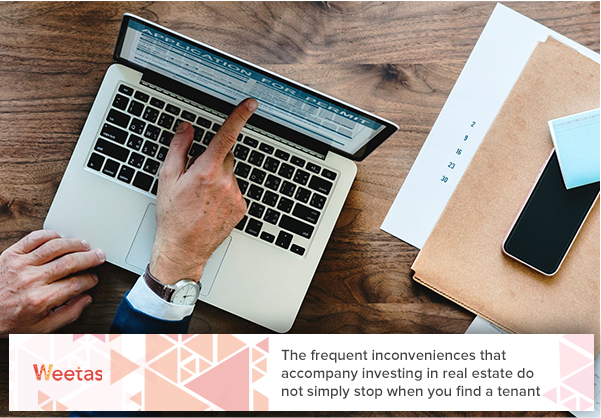 The frequent inconveniences that accompany investing in real estate do not simply stop when you find a tenant; you might have to deal with a tenant who is unstable with their due dates. With rent guarantees, you will be receiving your monthly return on investment in a specified fixed date for the whole duration. 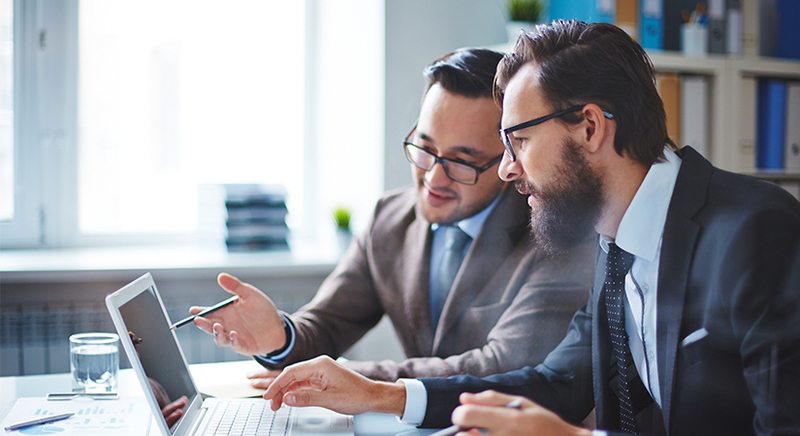 This might change according to your agreement with the broker and what he offers you; in some cases, the brokerage company will handle the necessary property management process for you. Needless to say, this means that you are practically avoiding all the possible hassles accompanied with real estate investments as the broker bares all the necessary unappealing procedures for you. 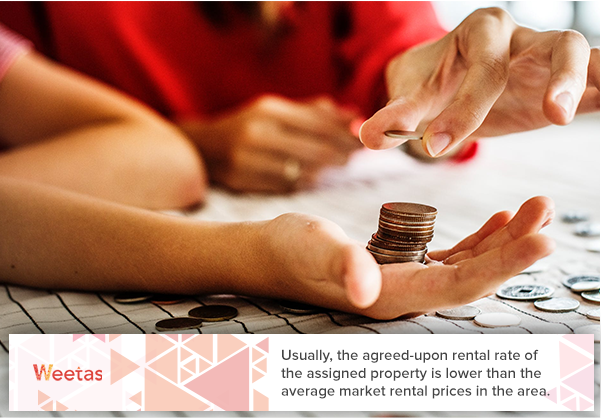 Usually, the agreed-upon rental rate of the assigned property is lower than the average market rental prices in the area. On the other hand, the rate’s unchanged percentage might prevent you from positive changes in the local property market that causes the rentals of the area to rise. 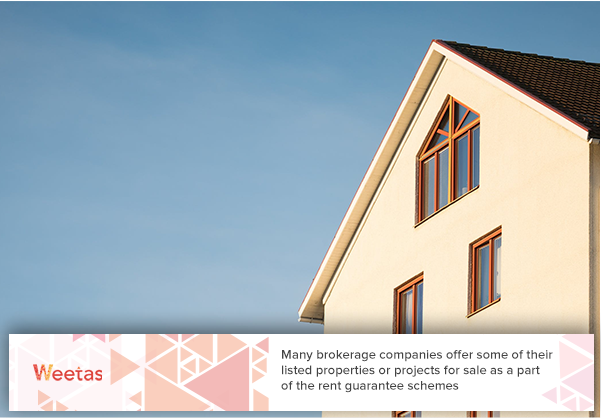 Many brokerage companies offer some of their listed properties or projects for sale as a part of the rent guarantee schemes for a price that is significantly higher than the fair market price of the sold property. For example, our latest offer provided a lucrative chance to purchase a property at the Saray Tower in Juffair; with a price that is lower than the average market price, we guarantee you a 7.75% monthly rental revenue for 24 months. To follow up with the aforementioned third advantage of the scheme, some brokerage companies offer to manage your property for you. However, this means that you will not have any word in how your property is managed. To be more specific, you will not be able to decide the type of tenants that rent your property; something you might have some personal restricts on. In the end, despite its possible disadvantages, rent guarantee plans offer you a guaranteed second source of income. 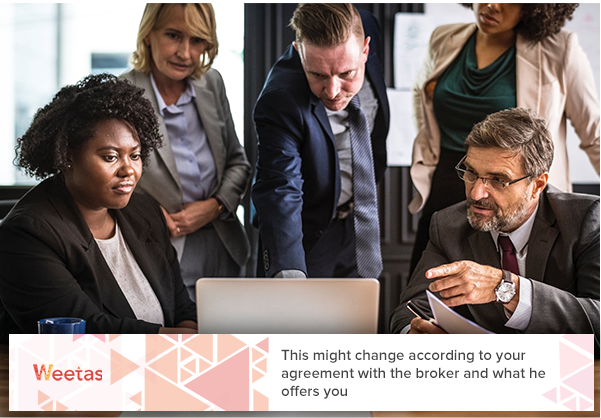 Just make sure to read and consider the terms and conditions of the agreement you are signing with the broker; this will help guarantee that you are making the right choice that suits you and your goals.